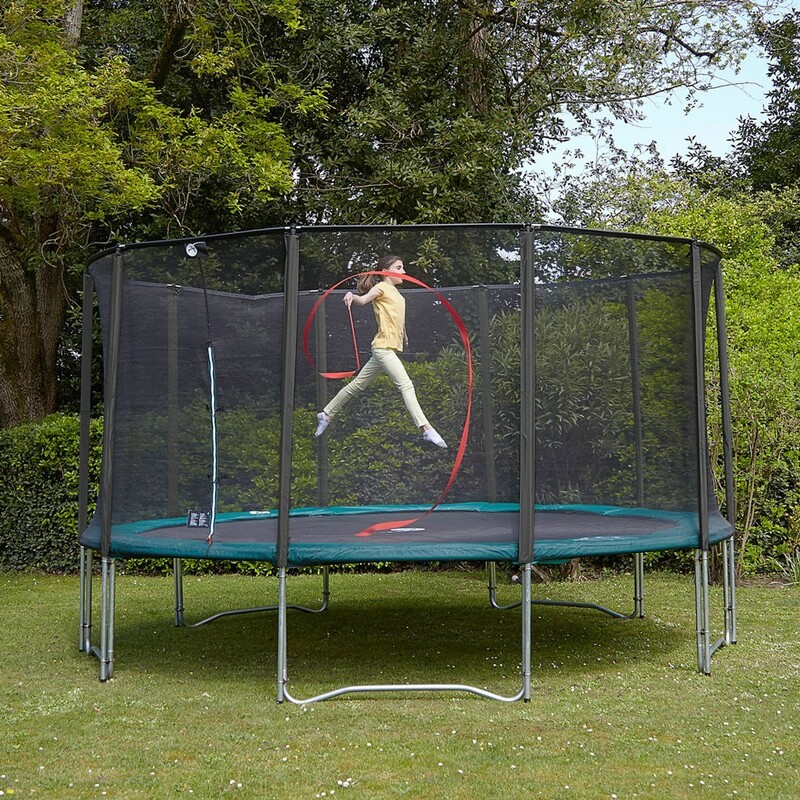 15ft Jump’Up 460 essentials pack, with the indispensable safety accessories : trampoline + enclosure + ladder + anchor kit. 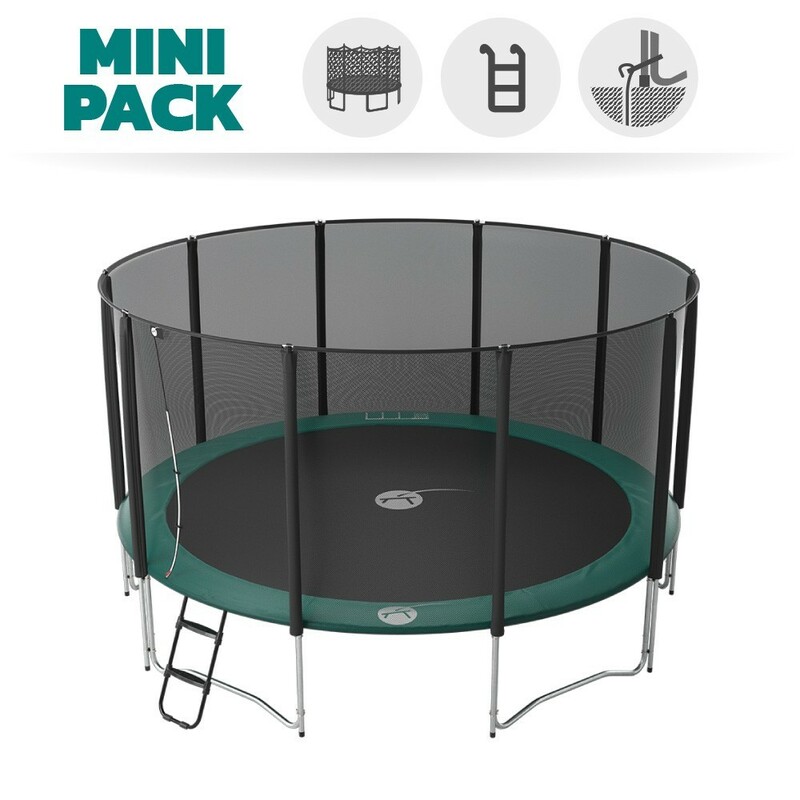 This basic pack has the indispensable accessories to ensure user safety on this round Jump’Up 460 trampoline. 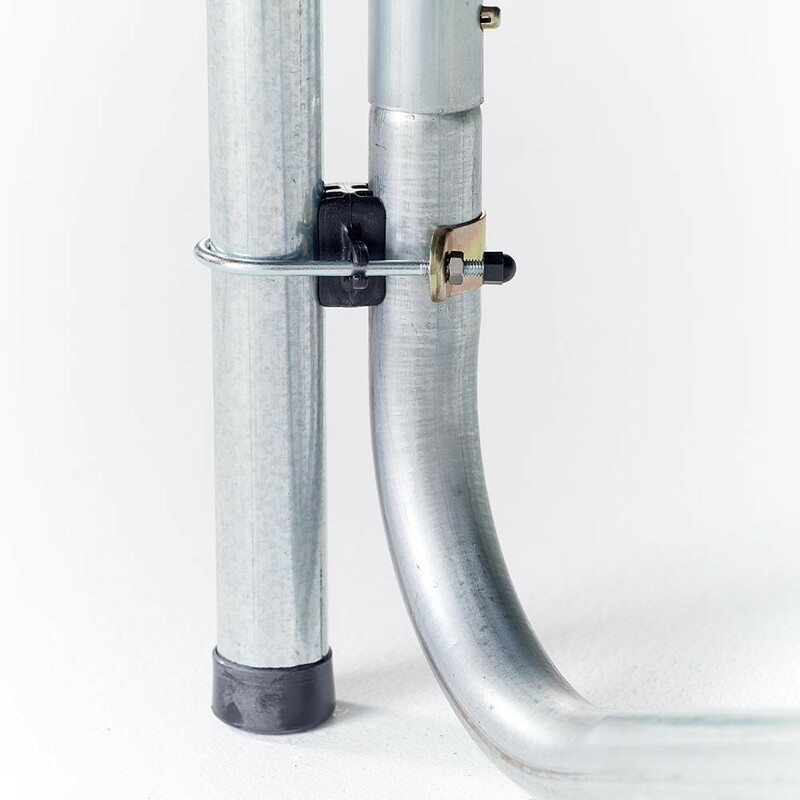 It includes a safety enclosure, a ladder and an anchor kit. 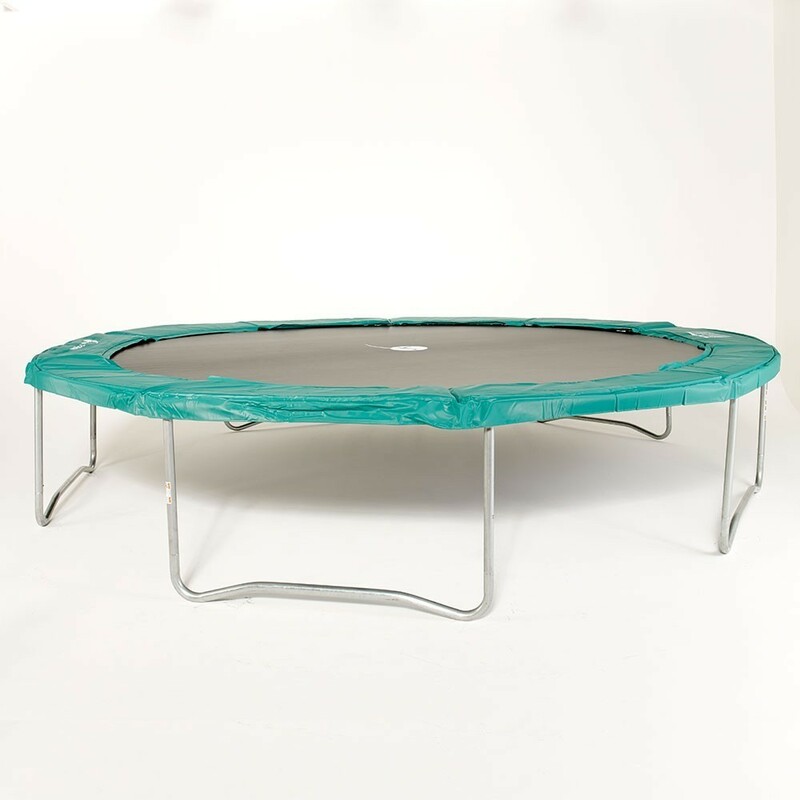 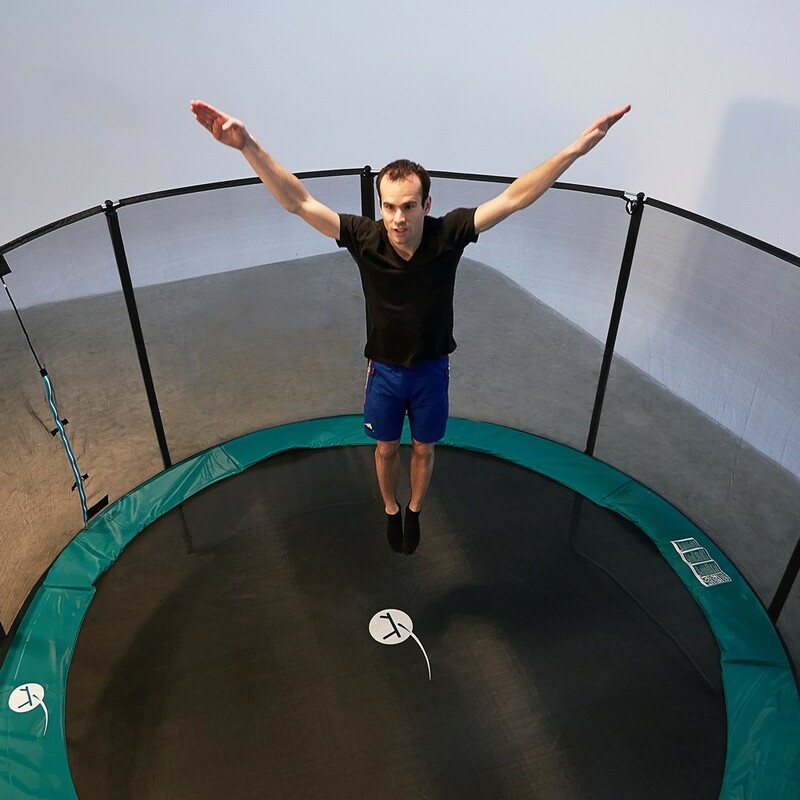 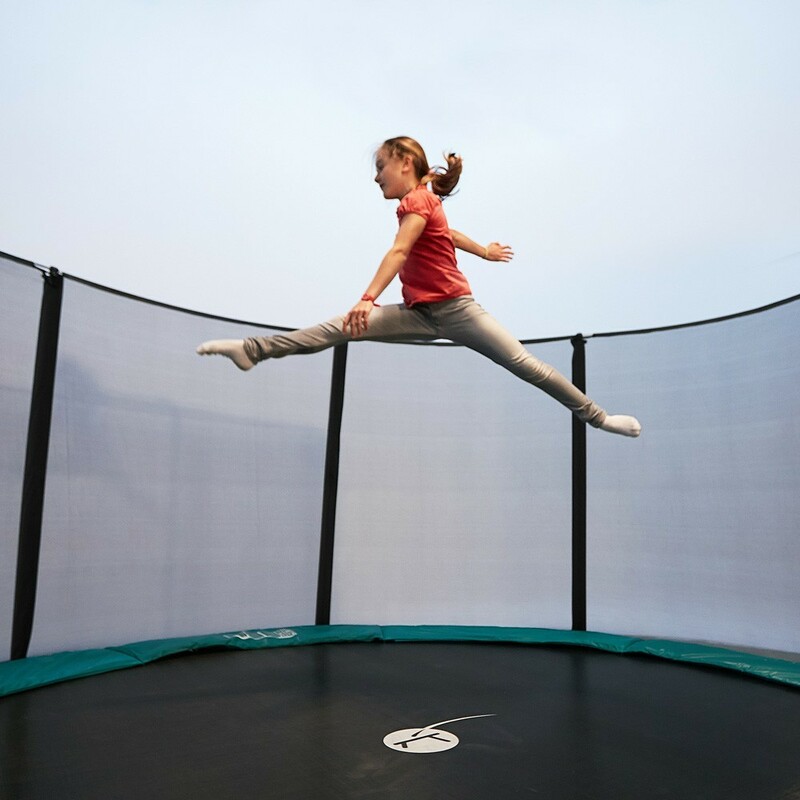 - The framework of this trampoline is made with hot-dip galvanised steel tubes that are 42 mm wide and 1.5 mm thick. 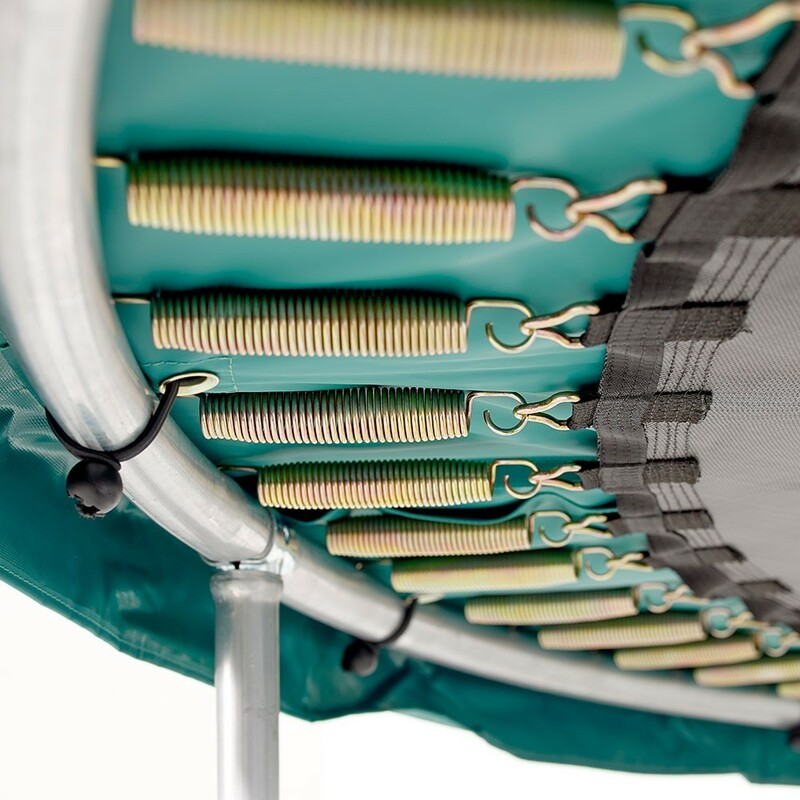 The framework is joined together thanks to T-junction components that avoid any welds and make the structure very robust. 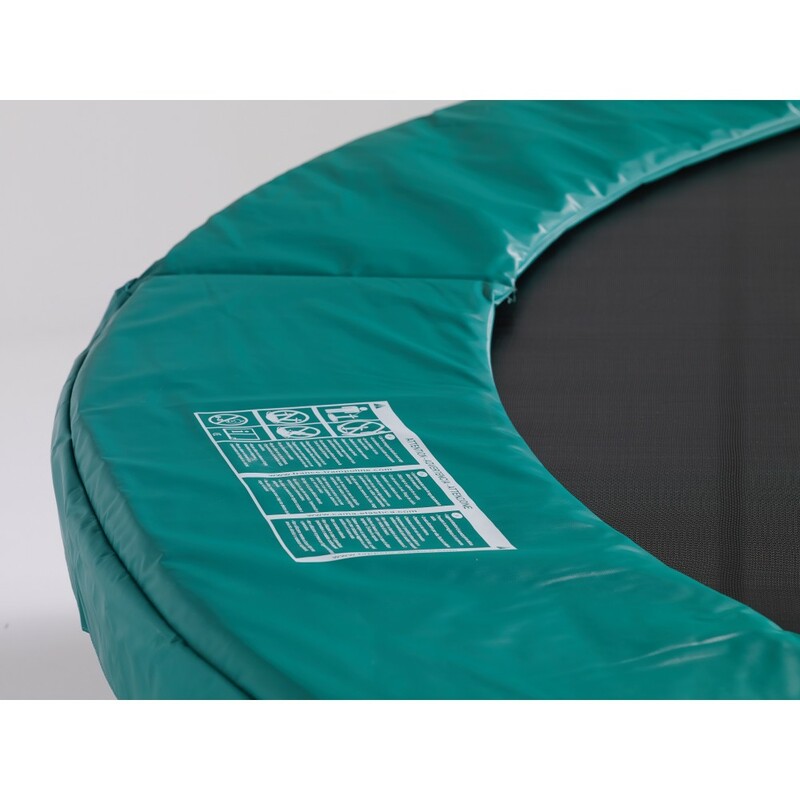 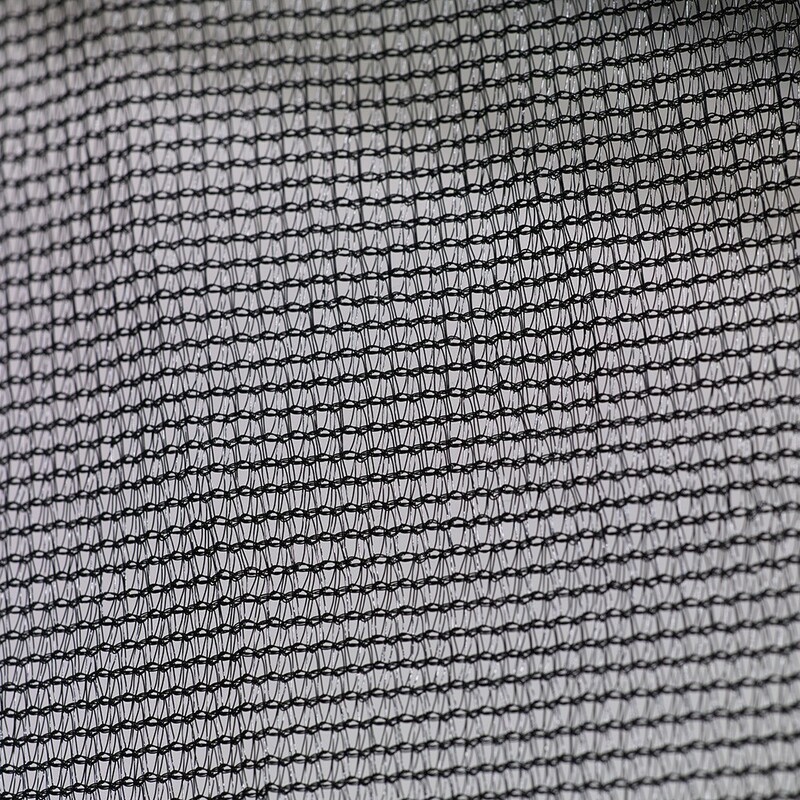 - The jumping mat is made to resist overtime and has therefore been UV-light protected and strengthened with 8 rows of stitching and a reinforcement band. 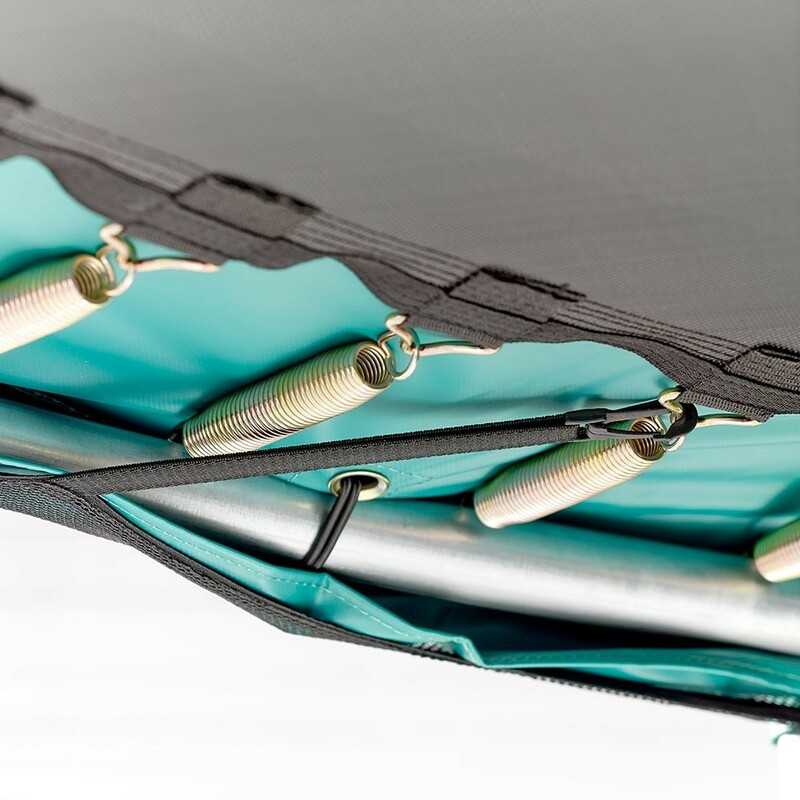 - The green frame pad is a made with EPE mono-block foam that is 20 mm thick. 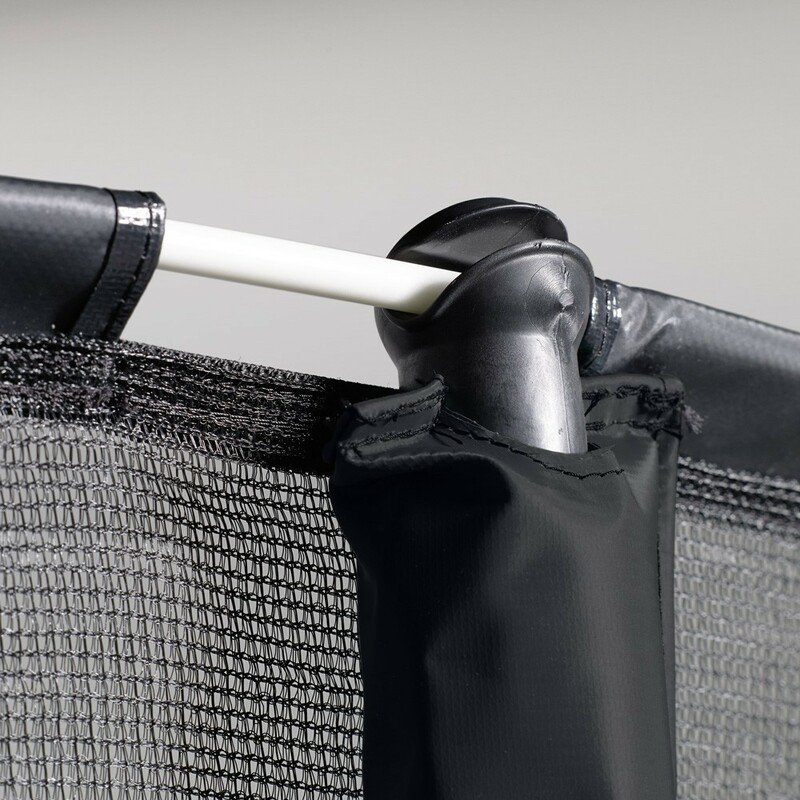 The PVC coating makes the pad waterproof. 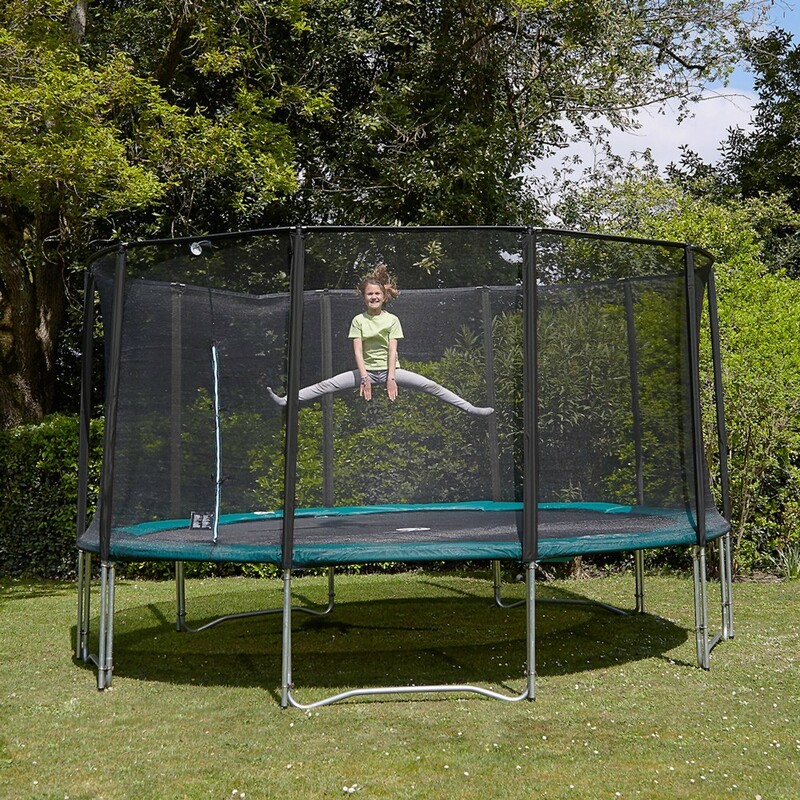 - The safety enclosure is made with 10, 32 mm wide net posts that stand directly on the ground. 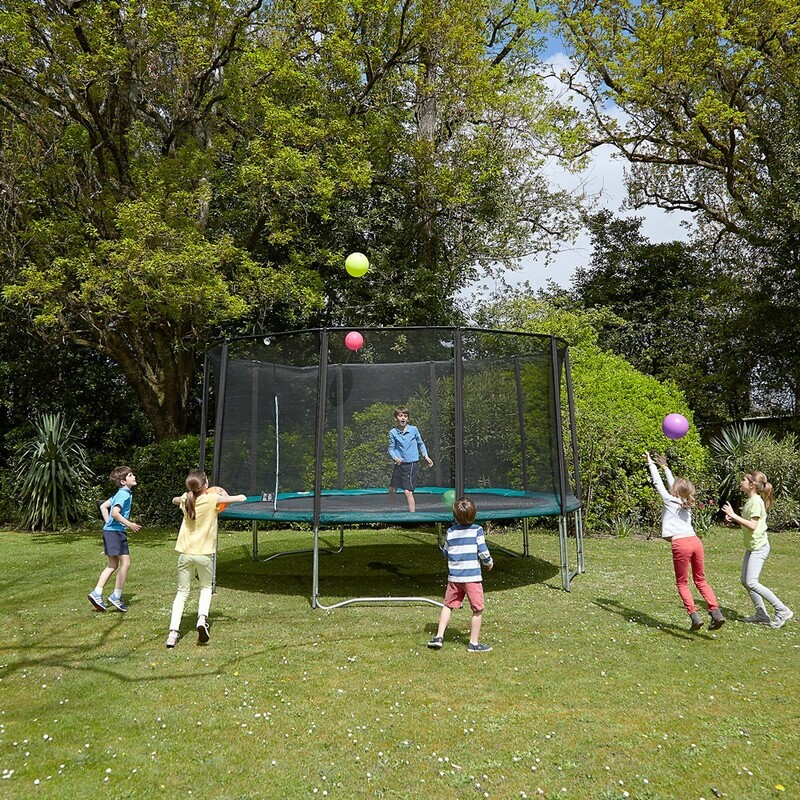 The top of the net is held in place and tensioned thanks to fibreglass rods. 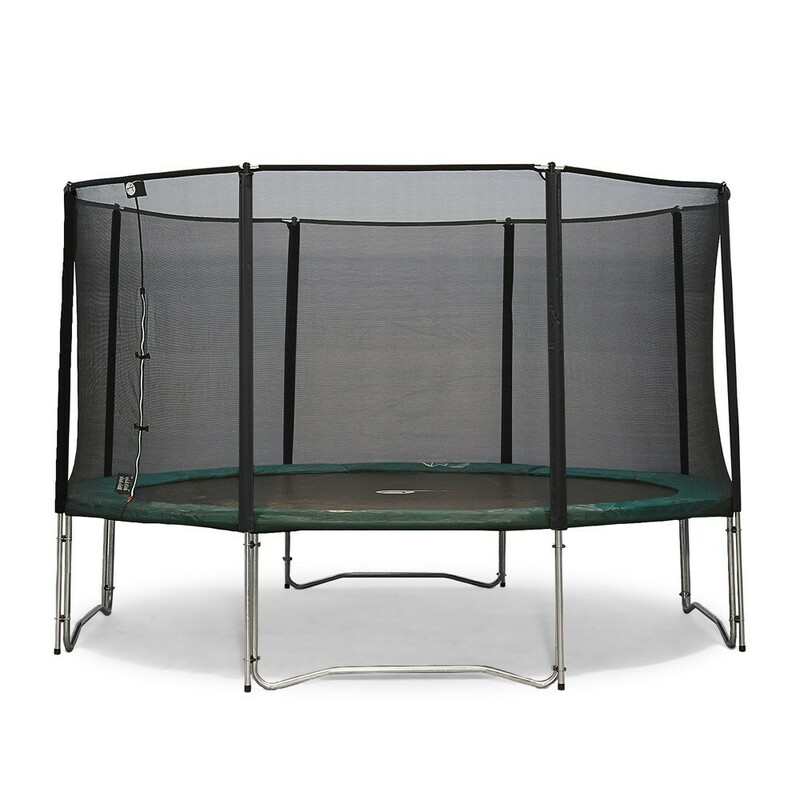 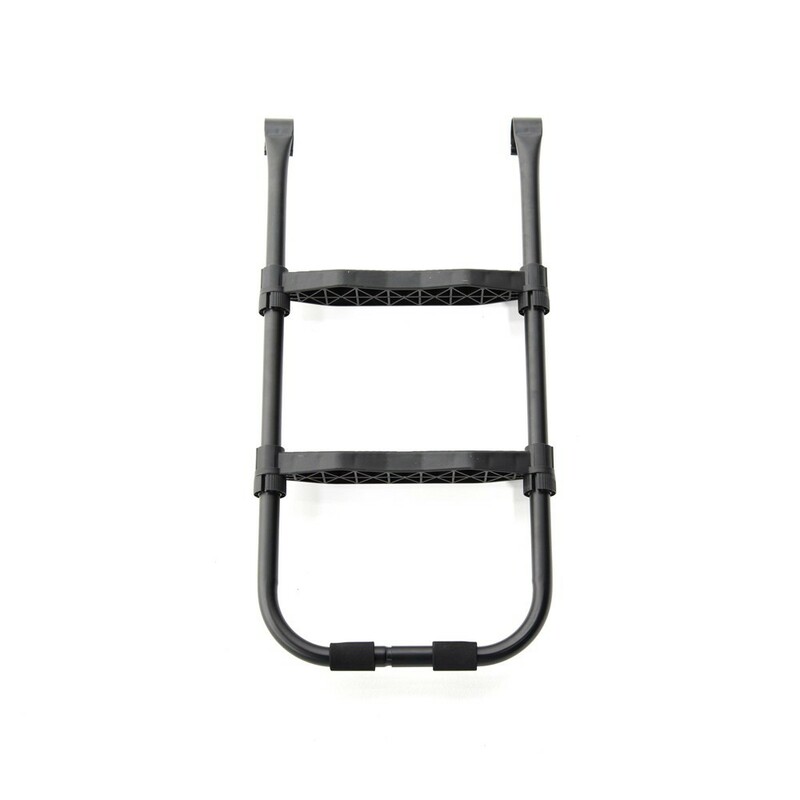 - The ladder is removable and has to 7.5 cm wide anti-slip steps, making access to the trampoline safe and easy. 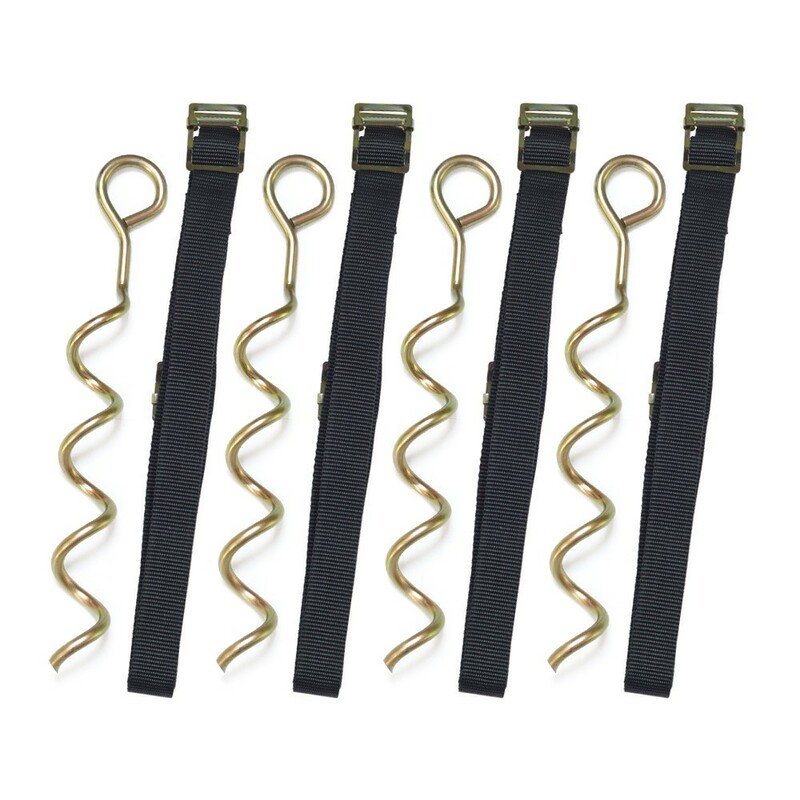 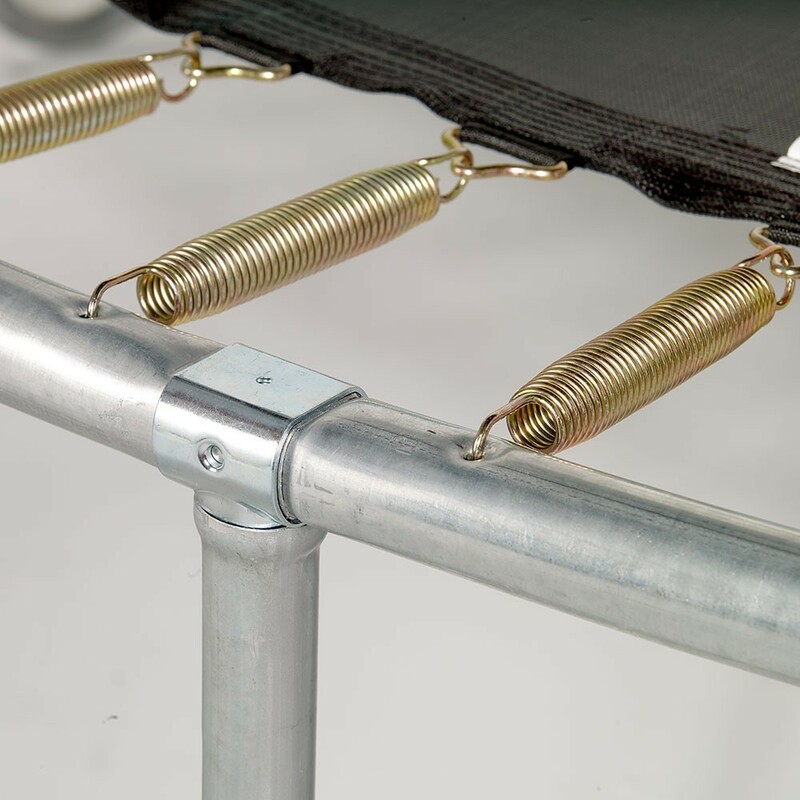 - The anchor kit is provided with 4 winged screws and 4 fabric straps that wrap around the trampoline framework. 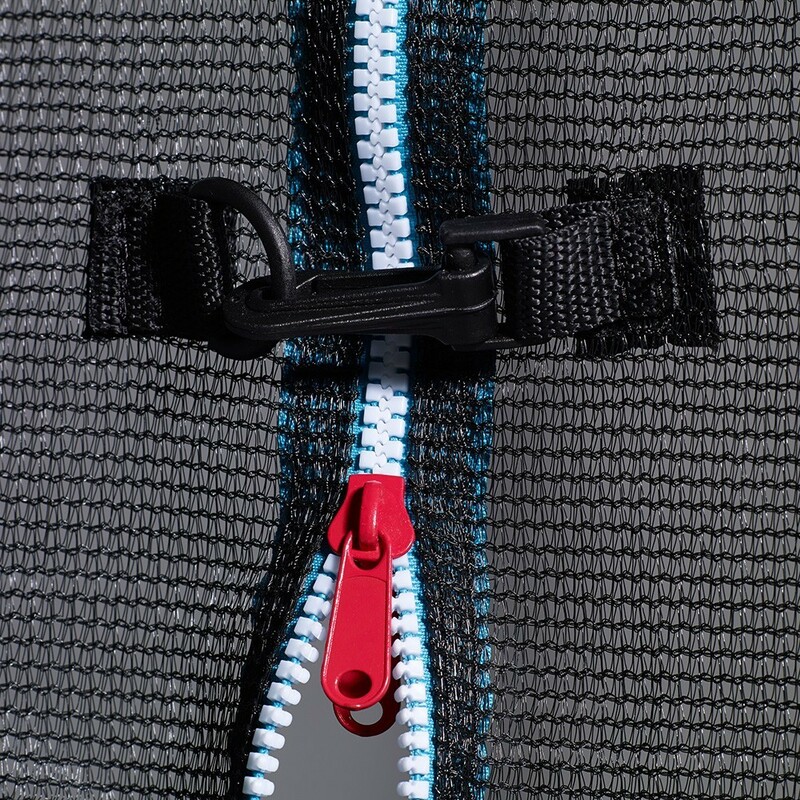 This kit is indispensable in windy regions.